Family holidays give us the opportunity to connect with our loved ones. Once you remove the daily grind of work, chores, school and laundry and replaced them with a beautiful location you can enjoy your family’s company without dividing your focus. This is when the special memories are made. Over the years of family travel, I’ve made the typical over packing mistakes. Most information you find tells you want NOT to pack. Ultimately this is great advice, because less is more. As long as you have prescription meds and glasses, you can generally live without or pick up anything else. But there certainly are some items that I will take with me on all our family holidays from now on. I had my daughter sorted for comfortable shoes, but for myself I packed thongs, cute flats, and heels for a nice dinner. Both my flats and thongs are staples at home, but I don’t spend all day running around in them generally, so my feet were quite sore by the end of our trip. Next family vacation I will be bringing a pair of comfortable sandals or flats with support. I know I sound like I’m joking, but here me out! Sometimes on holiday you don’t want to spend every meal sitting down in a restaurant or searching for a takeaway place. Example: a day at the beach (you don’t want to lose prime position), in the hinterland (the rainforest might not have soy or gluten free), or at a theme park (not always healthy or budget friendly). On these days you may want on-the-run picnic items like pieces of fruit, muesli bars, peanut butter sandwiches and salad with a can of tuna. Having a container to throw a salad or sandwich in makes everything so much easier! When we are on holidays I normally transform from woman to packhorse. Beach Bag Contents: Towels x 3, sunscreen, sunnies, water bottle x 3, spare clothes, footy or beach ball, book, band aids and the list could go on. One bag for all this is quite heavy, and if it’s pink my husband won’t be seen with it. To help divide the load, giving my little one her own back pack, even if it’s just for one water bottle is a great help. I normally carry a small medicine bag with some staples: band aids, betadine cream, tape, Panadol, hand sanitiser, spray bandage, throat lozenges and a spare sheet of my little one’s medication. Our last holiday this bag was left at home. I definitely noticed its absence. We needed a band aid as soon as we arrived (there were kangaroos in our holiday house front lawn, a rocky drive away and an excited 11-year-old = immediate band aid requirement). A restaurant bathroom with no soap (hand sanitiser) and a husband who was excited to find a new beer (Panadol). While this is normally on my list, it’s good to know I’m not carrying it around for no reason! 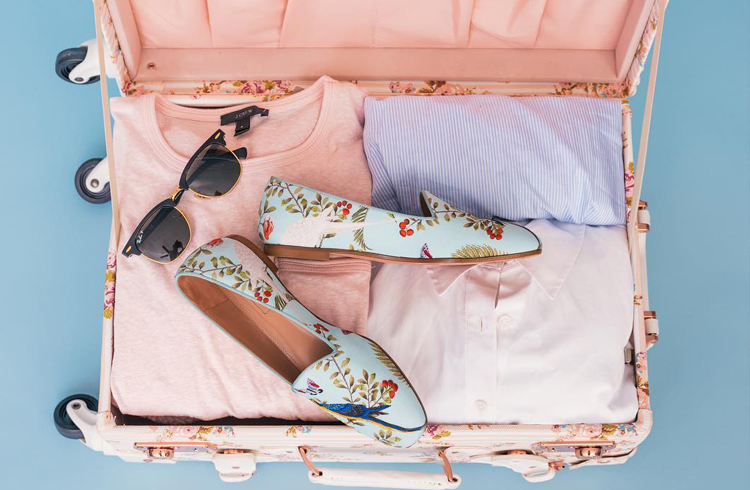 What are the items you can’t live without on holiday? If you’re looking for holiday inspiration we have an amazing list of hot deals to check out or you can call us on 1300 788 553 for your next escape to the Queensland sunshine!